Almost a century ago, John Dewey wrote about schools being made an authentic form of active community life, rather than “a place set apart in which to learn lessons.” This idea about K-12 education is as important today as it was close to a century ago. Educating young people in the 21st century involves helping them bear witness to realities past and present, and fostering responsible citizenship in a world of unprecedented interdependence, challenge, and possibility. EduCulture’s Only What We Can Carry Project (OWWCC) provides professional education to formal and informal educators through our Teaching What We Can Carry Field Study Programs. 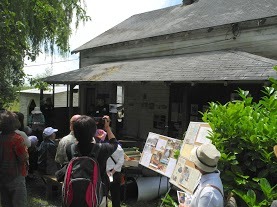 Our Teaching What We Can Carry Field Programs are designed for those responsible for teaching and learning about the Japanese American Experience of Exclusion during WWII in elementary, secondary and community based education. “Only What We Could Carry” was the rule, so we carried Strength, Dignity and Soul. Our field study program help educators deepen their understanding and knowledge of this period in local and global history, while exploring landscapes and lessons of exclusion, inclusion, citizenship and community. 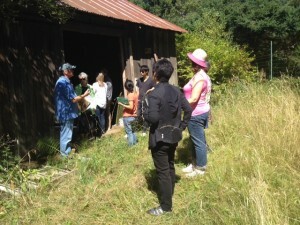 Situated on Bainbridge Island, and taking place over the course of the school year and summer, this teacher training program will use this small Puget Sound community’s unique and common story with WWII and the Japanese American Exclusion as a case study to bring important and relevant regional and global topics of study to life for 21st century students. When President Roosevelt signed the Executive Order to uproot and incarcerate all people of Japanese Ancestry, mostly Japanese Americans, living within 200 miles of the US West Coast – 120,000 people in all – Bainbridge Island was the first community to receive the order. This program was conceived to assist educators and schools in grounding a culture of curriculum and deepening their professional repertoire around teaching and learning about this period of local and global conflict and crisis. This is a special opportunity to bear witness to how one community experienced the tragic events of WWII and bring this period of history alive for your students, while modeling field classes and learning experiences you can facilitate for students. Course content will follow the chronology of the United States entering WWII and the events leading to the Japanese Exclusion, while interacting with cultural and community assets of Bainbridge Island to model how educators can bring these topics to life for our students. The course will culminate over the summer with a presentation of curricular projects participants will be able to implement the following school year. 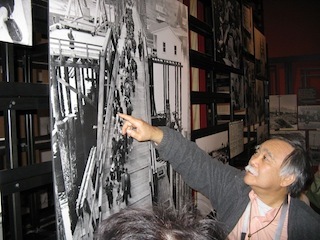 Participants will visit key heritage sites and follow the lives of Bainbridge Island Japanese American Families who immigrated from Japan, established livelihoods, became citizens, then were forced into concentration camps during WWII. You will dialogue with original Bainbridge Islanders whose families lived through WWII and the Exclusion. Our aim is to focus on the experiences of inclusion as much as exclusion during this tragic period, and have carried forward to the present. How do we as educators tend to the stories that make up our curriculum? How can the study of an experience of exclusion be a pathway to teach inclusion? What are the components for K-12 education that make history come alive and bring the past to the present? What can the study of the exclusion during WWII teach us about our community before, during and since? How often do we as educators get the opportunity to teach some of the more essential lessons about about freedom, diversity, human rights, and democracy, using our own community as a case study and current residents as voices and role models? How can our own lived experiences with this topic of study cultivate a more lived curriculum for our students and community? How can this arena of education help us build stronger bridges between classrooms and community and stronger school-community relationships? o This program will be situated among the many historical sites on Bainbridge Island that can bring this topic of study to life for our students. They include: historic Suyematsu Farm, Bainbridge Gardens, Bainbridge Island Historical Museum, Bainbridge Island Japanese American Exclusion Memorial, Sakai Intermediate School and Woodward Middle School. o Experience a piece of the community’s history and heritage through the lenses of those who lived it. 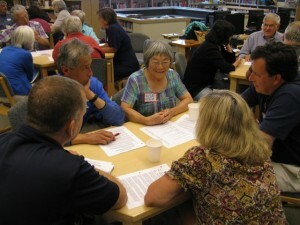 Through teacher-elder interviews, panel discussions, readings, and documentaries, participants will interact with Bainbridge Island residents, living and past, who experienced WWII, from Japanese Americans who were incarcerated to their neighbors who remained on the Island, and those who served in the war. 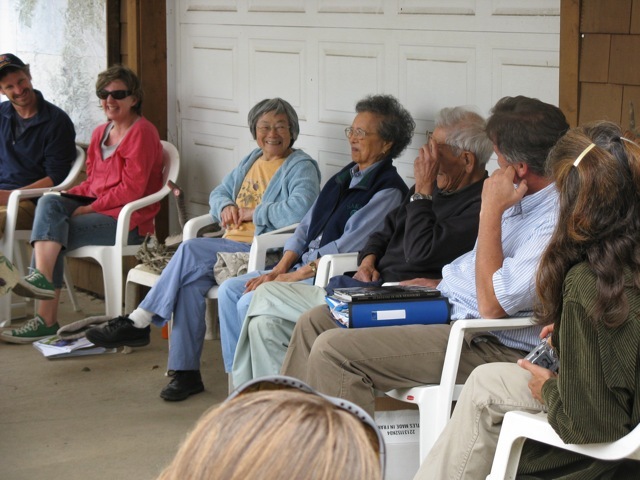 o Through first hand voices, primary sources, documentary materials, and recent accounts of bearing witness, we will study the experience of incarceration at Manzanar and Minidoka concentration camps, other forms of exile, and life on Bainbridge Island during the WWII. o Screen, preview and discuss local and national documentaries and films. o Display and share a collection of all the curricular and resource materials that have been created to teach and learn about the experience of internment on Bainbridge Island. o Address and share best pedagogies and practices for teaching and learning about internment, along with looking at how we build a culture of curriculum that bridges classroom and community in bringing this area of study to life. o Discuss ways to anchor and sustain the legacy, lessons and learning surrounding the experience of Exclusion in our schools and community for this and future generations. To register or learn more about these programs, contact EduCulture by email, admin@EducultureProject.org, or call 206-780-5797.